with Newburyport branch manager Ed Dixon, P.L.S., at the new Newburyport branch at 1 Harris Street. Newburyport, MA Hancock Associates, a leading local provider of land surveying, civil engineering and wetland science services, hosted an open house to celebrate the relocation of their local branch. The new central downtown location at 1 Harris St. is more convenient for clients and the expanded space provides Hancock Associates workspaces to grow staff, resources and services. Hancock Associates is made up of talented surveyors, engineers and scientists dedicated to excellence in land/coastal development, construction and preservation. They have maintained their position as an industry leader through their investment in exceptional staff, state-of-the-art equipment/technology and acquisition of multiple surveying and engineering firms and historical survey records dating back to 1852. 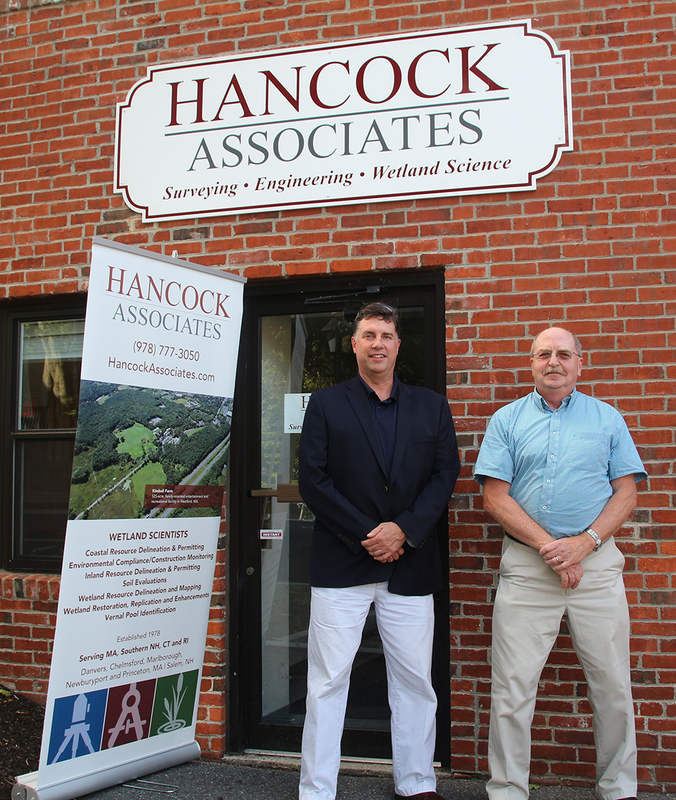 Since 1978, Hancock Associates has been providing land surveying, civil engineering and wetland science services throughout Massachusetts and now cover Southern New Hampshire, Connecticut and Rhode Island. They value the long-term relationships they have with their clients served through their offices in Billerica, Chelmsford, Danvers, Marlborough, Newburyport and Princeton, Massachusetts and Salem, New Hampshire.